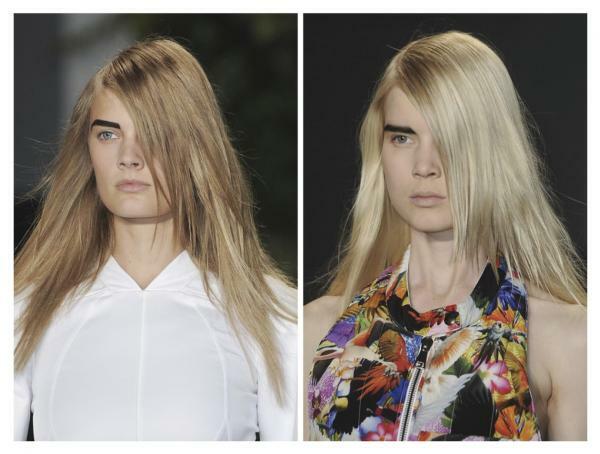 We’re not talking 80s untouched wilderness, but shapely bold brows are back! When it comes to eyebrows, celebs, models, and makeup artists are proving that big is beautiful. As I'm sure you have heard, Mercedes-Benz Fashion Week wrapped up in New York City. Designers showcased their spring collections, and trendspotters have begun their style predictions. 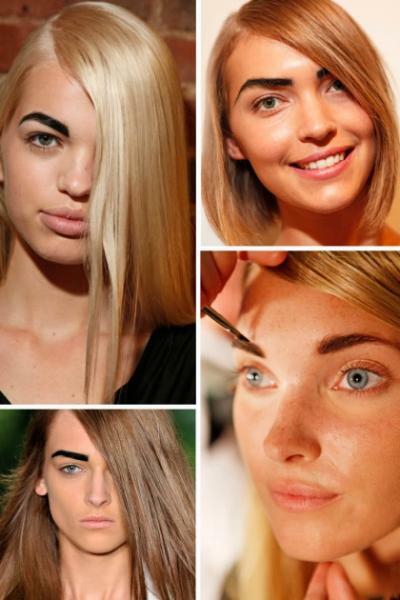 One beauty trend from the fashion week that has people talking is the strong, powerful brow featured on many runways. 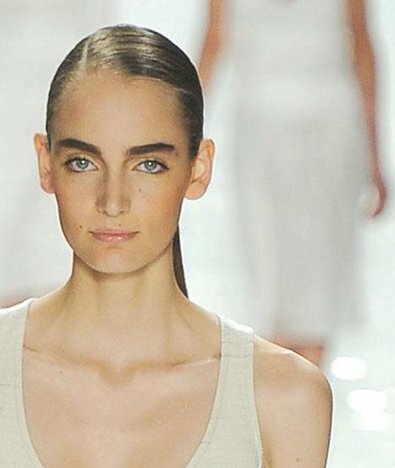 Bold, thick eyebrows were prominent in many shows, with some variation in shape and darkness. 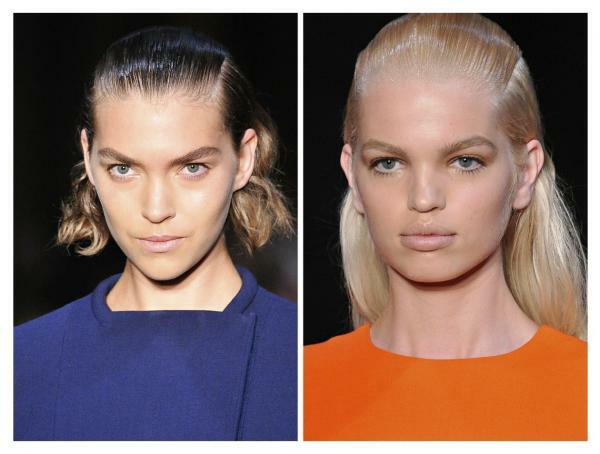 Here are some of the different ways designers embraced the brow. Trendovi se uvek vracaju, pa su se tako vratile i guste, jake obrve.U poslenjih godinu dana a mozda malo vise na svim revijama mozemo videti kako kreatori forsiraju taj stil.Za prolece koje nam dolazi naglasene obrve su definitivno i dalje u modi.Sminkeri stavljaju akcenat na taj deo lica. Evo nekoliko primera sa poslednjeg Njujorskog Fashion week-a i jos par modnih desavanjau svetu. Mali savet koji je meni pomogao u rastu obrva. Oblik mojih obrva je inace bio takakv da sam morala mnogo da se bakcem oko njih. Dlaka je jaka i gusta i zbog dugogodisnjeg cupanja na nekim mestima moje obrve su se razredile.Pre malo vise od godinu dana odlucila sam da ih pustim i vratim u nekadasnji "sumarski" izgled, Lol . Pre sest meseci od drugarice sam saznala da uz pomoc prirodnog kokosovog ulja dlaka brze raste. Poslusala sam je i pocela sam s vremena na vreme da mazem odredjene delove gde se obrva istanjila. Nakon dva meseca moje obrve su izrasle i izgledaju kao da pincetu u zivotu nisam videla. No,taj look se meni dopada a i trenutno je in hehe. Arizona Muse’s muse-worthy brows look practically untouched, and it’s clear by her spotlight on the November 2011 cover of Vogue Paris styled by makeup artist Lisa Butler that France is embracing big brows. 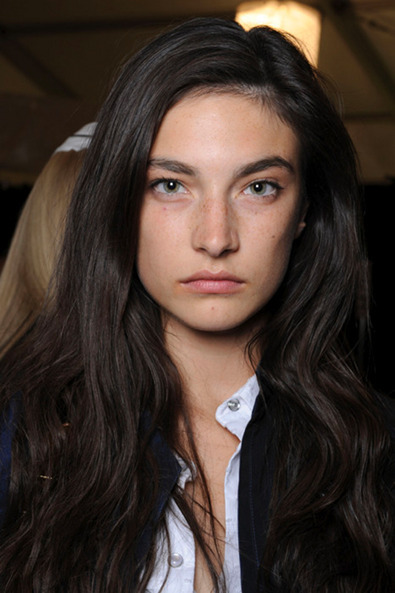 Jacquelyn Jablonski has been praised on the Fashion Spot forums for her soft, thick brows. Kim Kardashian has spoken candidly about the lengths she goes to for hair removal, but still accentuates her dynamic features with shapely brows. Kate Bosworth shows that even blondes can rock the strong brow by adding definition with an eyebrow pencil, looking gorgeous with darkened brows on the cover of BlackBook Magazine.